SYNASECOIN is a project which has as a main objective, use of crowdfunding system and Blockchain technology in all its splendor. One of the problems found around the world is the financial of entrepreneurs and businessmen looking to expand to international markets. SYNAPSECOIN found this problem, raises this crowdfunding financing system, through it, entrepreneurs and businessmen will have the opportunity to get financing and run their project, and for those who want to invest we will present a range of fully qualified projects in our crowdfunding, providing all our users with the advice indicated in the area. SYNAPSECOIN is made up of a solid professional team who are passionate about innovating, and aware of new technologies (Blockchain), sharing a philosophy of teaching, helping people, making them discover their own talents and live from it. In our Crowdfunding system the user will should to register, verify and approve the KYC, once these requirements are fulfilled he will have access to the services we provide, each service will have a reference link on our page. 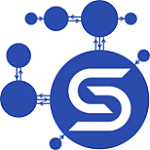 The SYP cryptocurrency will be used for exchanges in our own Exchange Criptowasi. The Blockchain technology is an example of technological advances of our age and has allowed connect thousands of people worldwide, giving them the opportunity to achieve financial growth and over the years had been develop new systems as The Crowdfunding based on Blockchain technology which solves the problems of traditional Crowdfounds. Thanksfulness to the Blockchain technology and crowdfunding system, Synapsecoin is able to offer advanced solutions to different problems, such as the lack of liquidity of hundreds of entrepreneurs in the world, who seek answers in projects through crowdfunding by connecting them with investors. Synapsecoin is the collective platform for connection between business ideas and investors, our team will take all advantages of Blockchain technology to all our customers, with the aim of create a new fundamental ecosystem that will drive new financial and social growth. The Crowdfunding market on the Internet has been developed for about a decade, however, in 2018 the number of fundraising platforms is still quite limited despite the potential spherical it has. The growth of this collective financing system has been hampered by a series of problems such as the lack of confidence on the part of entrepreneurs and / or investors, due to failure of several projects, lack of regulation and legal gaps in the regulations implemented by governments of each region. Not receiving rewards directly, causing delay to be postponed until several months. Users do not have control of their investments and in many cases the only beneficiaries of the Crowfound are the project creators and the company itself, because users do not handle any type of representation against their investment. The entrepreneur pays high commission rates for platform maintenance of and assumes the transaction costs, which represents 30% of his capital. Having found that traditional crowdfunding system has several weaknesses, in Synapsecoin we propose solutions with the Crowdfunding project, through Blockchain technology and smart contracts. We develop a Crowdfunding system where investors after completing a smart contract, will receive a reward for their investment through our token (SYP) in real time. Synapsecoin will be a recognized platform, allowing thousands of people to develop their business ideas or worldwide projects . We think about you, so generating opportunities to choose a project to invest, receiving attractive returns among other benefits that are detailed respectively in each project. Entrepreneurs: We attract to business creator, in their earlies stage about entrepreneuship, who for many reasons don’t have access to invest opportunities, that is, we will be their leverage. Investors/ promoters: We will focus on investors, entrepreneurs and developers who have or do not have experience in financial market. Providing with all tools, so they can make an excellent investment. Business Refinement: Directed to those businesses and / or companies that want to empower themselves, expand, renew their brand and increase their sales, supported by Synapsecoin specialists. Connect investor with entrepreneurs and/or projects in run at wordwide, using Blockchain technology and Smart Contracts. We live in a free and fair future based on transparency, where good projects will finance and open to the world without limitations. We offer the best opportunities, accelera progress in all sectors of the world, using our own exchange (CriptoWasi) for its commercialization. SynapseCoin platform development as Collective Financing System. "ProjectSYP" Development or system of actions exchange, interaction between investors and projects. Launching of our exchange "CriptoWasi". Beta Phase of SynapseCoin as a collective financing system. Official Lauching of SynapseCoin as collective financing system. Official Launching of " ProyectSYP".Expansion, investment and execution of innovative projects in SynapseCoin platform.